Cara Matteliano is a Vice President of Community Impact at the Community Foundation for Greater Buffalo. She is responsible for overseeing the leadership initiatives of the Community Foundation, which promote the Community Foundation’s goals of advancing education, racial/ethnic equity, the environment and arts and architecture. In this role for more than ten years, she is responsible for the creation and management of several locally and nationally recognized initiatives. Cara advanced the WNY Coalition to Prevent Lead Poisoning, which resulted in the Community Lead Action Plan, an analysis of Buffalo’s lead poisoning data with recommendations for reform. She brought the national Green & Healthy Homes Initiative to Buffalo, a public/private partnership to improve homes for families living in low-income neighborhoods. She also facilitated the creation of the Western New York Environmental Alliance, convening more than 80 organizations to work together to protect and restore environmental resources in the region. 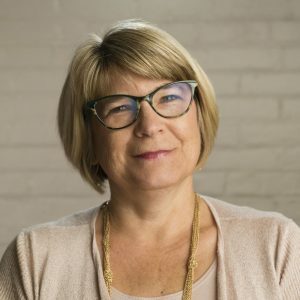 With expertise in grant making and program development, Cara joined the Community Foundation after more than two decades of experience in nonprofit leadership positions. Prior to her work at the Community Foundation, she was the Executive Director of Cradle Beach, a nonprofit facility offering education and respite to children with disabilities and from low-income neighborhoods. She also led the Chameleon Community Schools Project, offering support for charter and public schools. Previously, Cara served as Executive Director of both Good Schools for all, a fund to improve teaching at Buffalo schools, and the Buffalo Alliance for Education, a program dedicated to expanding private sector support for public schools. Cara received her B.A. and M.A. in Speech Communication from the University of Maine. She completed executive education courses in governance and leadership at Harvard University. Cara is an ordained Elder at Deerhurst Presbyterian Church and serves on the board of Buffalo Therapeutic Riding Center.